Is a Kinect Halo Game on the Way? Remember all those job postings we told you about last week? Microsoft may have just given away another piece of the puzzle as to what they will be used for. Microsoft has registered the domain name KinectHalo.com. I'm sure many theories will spawn out of this. Is the Halo 1 remake really on its way, only with the addition of Kinect support? 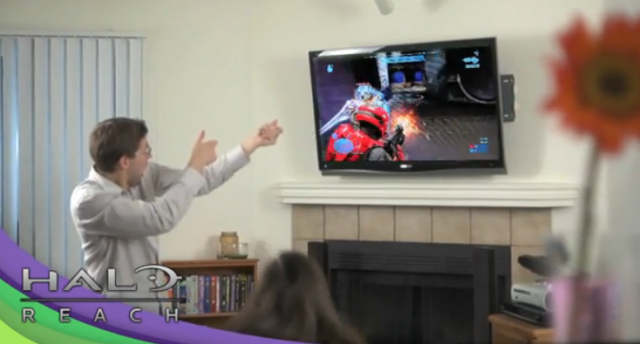 Will the next full featured Halo game work with Kinect? Or maybe this will just be a little Kinect spinoff game with cutesy little cartoon Master Chiefs running around. Any way you slice it, it seems very likely that we will be seeing some Kinect in our Halo sometime in the near future. Does that make you happy or do you want Kinect kept away from serious franchises like Halo? Submitted by Ir0nclad17 on Thu, 03/24/2011 - 16:10. If this does happen, it may not be very good. Seeing as it is the Kinect, it might make the Halo game much harder and may get terrible reviews.